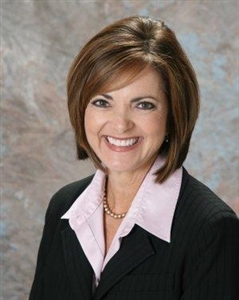 LAKELAND – Bishop Ken Carter announced today that Janet Earls will serve as the Florida Conference’s congregational vitality specialist in the newly formed Office of Congregational Vitality, effective June 1, 2013. In December 2012, the conference Strategic Leadership Team (SLT) formed the Congregational Vitality office by merging the existing ministries of Congregational Excellence and New Church Development. Earls currently facilitates, with East Central District Superintendent Wayne Wiatt, an "Extreme Leadership" team of seven pastors, developing and enhancing their leadership skills. She is the past chair of the East Central District Center for Congregational Excellence; and for the past five years, she has built a track record of success in guiding churches in crisis and coaching church leadership or transition teams through a vision process. She has more than 14 years of experience coaching, teaching, facilitating and mentoring high performance teams. She is now working with the East Central District to help transition churches in crisis, and she coaches church staff in improving communication and team-building, as well as assists various church committees with visioning and planning. She is a professional coach certified by Spiritual Leadership Inc. and the International Coach Federation. Janet is a member of the Florida Conference Board of Ordained Ministry and was a Lay Delegate to the 2012 General Conference. She is a member of First UMC Port Orange.